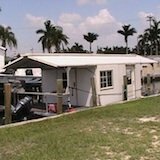 When you think of a DIY tiny house on a trailer, you might already be used to the idea of having to spend upwards of $20,000 to do it yourself but I believe you'll be glad to know that's not always the case. 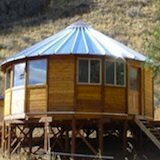 Today Matthew Wolpe is here to show you that you can do it for less if you're willing to keep an open mind about reclaimed materials and design. 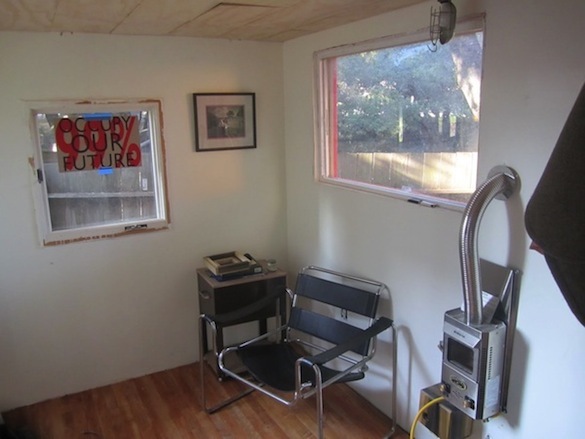 You've probably seen Jenine Alexander's $3,500 house on a trailer. If you haven't, click the link and check it out when you're done here. And of course- a composting toilet so you don't have to deal with getting rid of black water waste. He has also set up a greywater system to take care of used h20 properly. 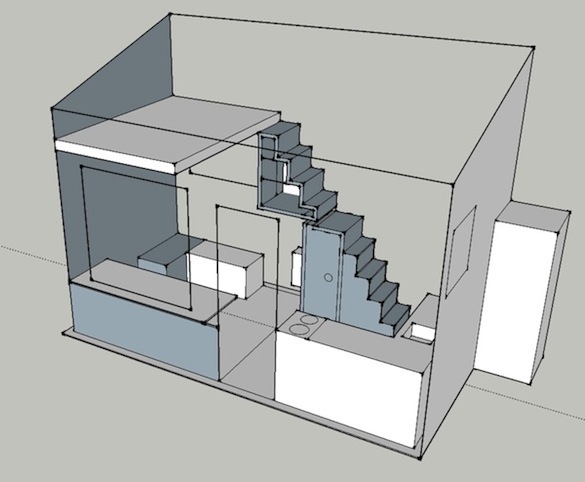 Take a peak at his original SketchUp design below. 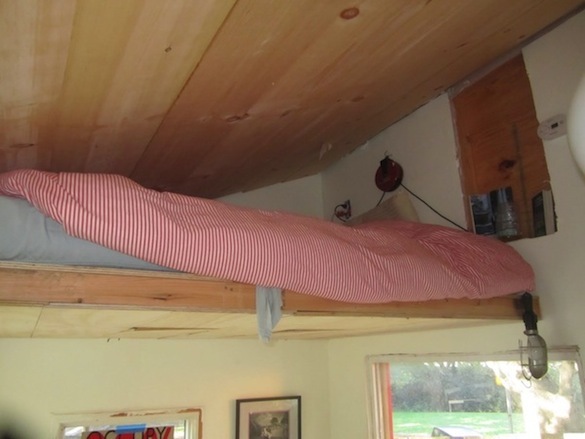 As you can see, the staircase that gets you up to the sleeping loft is made to function as storage as well. 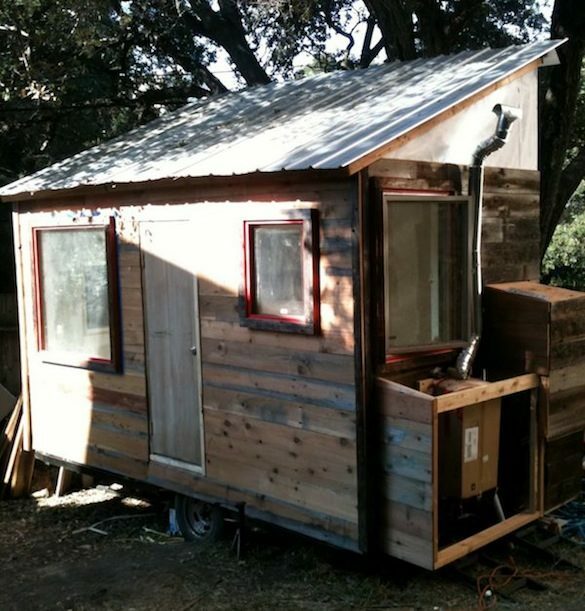 You Can Build a DIY Tiny House for Cheap if You Used Reclaimed Materials... That's What Matt Did! For the exterior siding he found some reclaimed redwood that came from fencing. This ended up costing him just $1 a piece but he did take the time to remill it. He wired the home with 120V electrical outlets which is no problem for him because he's using a tankless water heater and will most likely have a convention type oven which doesn't require 220 voltage. The only reason to go for 220 is only if you wanted to have a washer/dryer, tank-based water heater and/or a traditional oven. In most cases, people find it simpler to use the alternatives which are also space saving. Inside there's maple flooring and one of those awesome propane boat heaters that Jay Shafer likes to use in his little homes. For more details and pictures on Matt's house visit the original post by clicking here. To keep up with his progress you'll also want to follow his personal blog over at OaklandTinyHouse.blogspot.com. 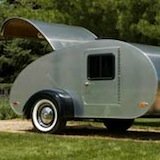 Finally- if you're interested in starting your own DIY home project similar to this one a great place to start is with our free eBook which also gives you access to plans. 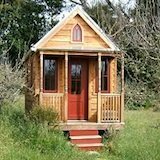 Get the details and your free instant downloads over at Tiny-House-Plans.com.